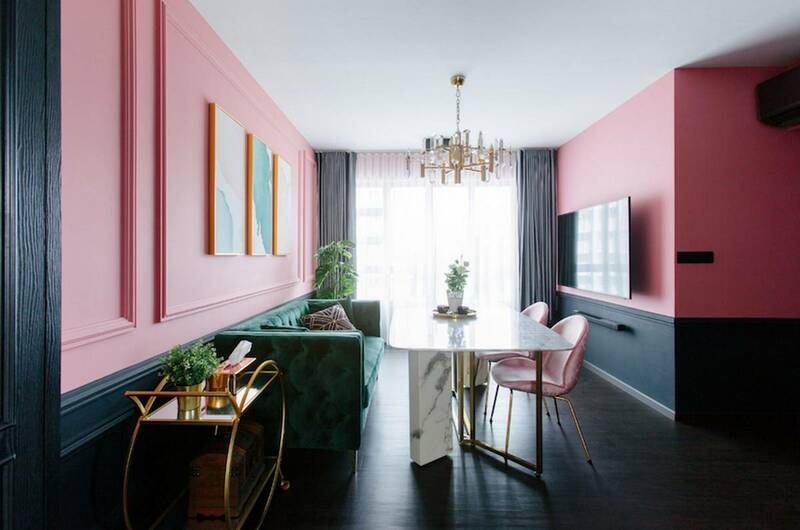 Homeowners Elyn and Shawn had no difficulty choosing their interior designer. Every home they consider an inspiration was designed by The Scientist. 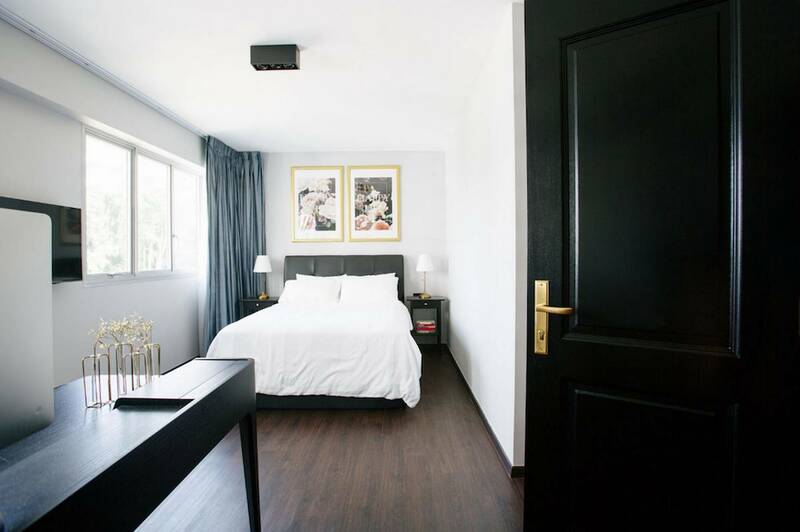 Hence, the couple was confident that the team could undertake what they had in mind for their four-bedroom HDB home in Telok Blangah: lots of brass, marble, leather and wood. 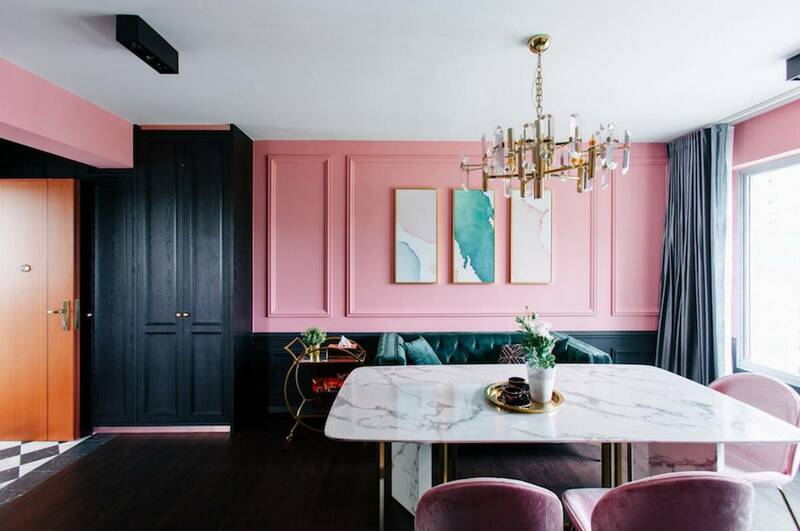 The couple went with a bold black and pink colour palette, which gave a modern update to the otherwise Victorian-style interior. 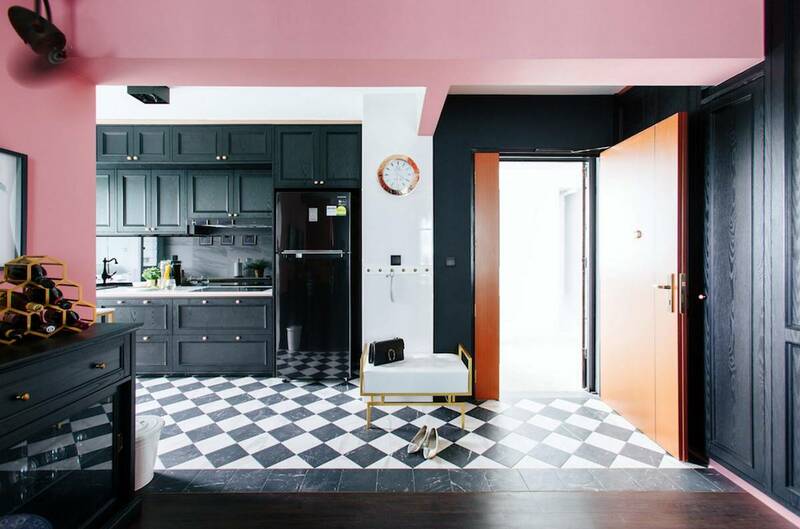 Cabinetry with wood panelling and a black-and-white checkered floor is essential to the look. Shawn initially thought pink -- which was proposed by The Scientist -- was too girly for his taste, but decided to take a leap of faith anyway. Instead of a typical living room configuration, the foyer leads to a long dining set. 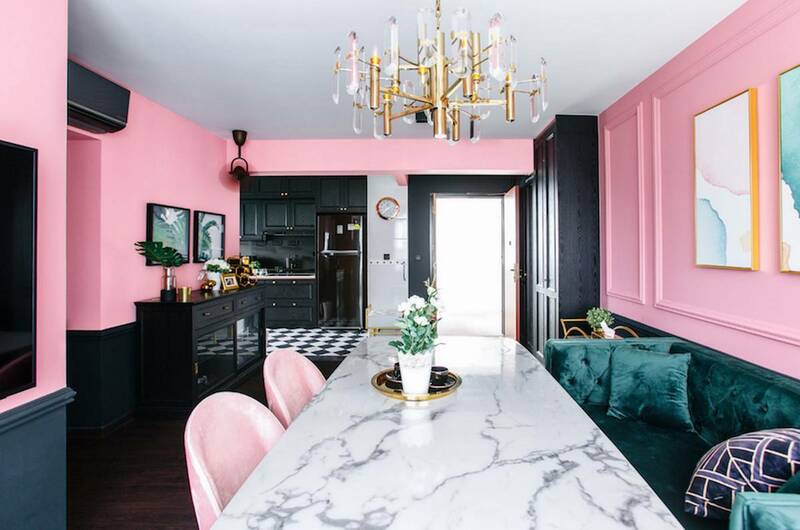 A plush emerald green sofa, blush pink velvet dining chairs, as well as accessories in brass finishes, come together to create a glamorous and elegant look, while the white marble-look table help brighten the darker hues. 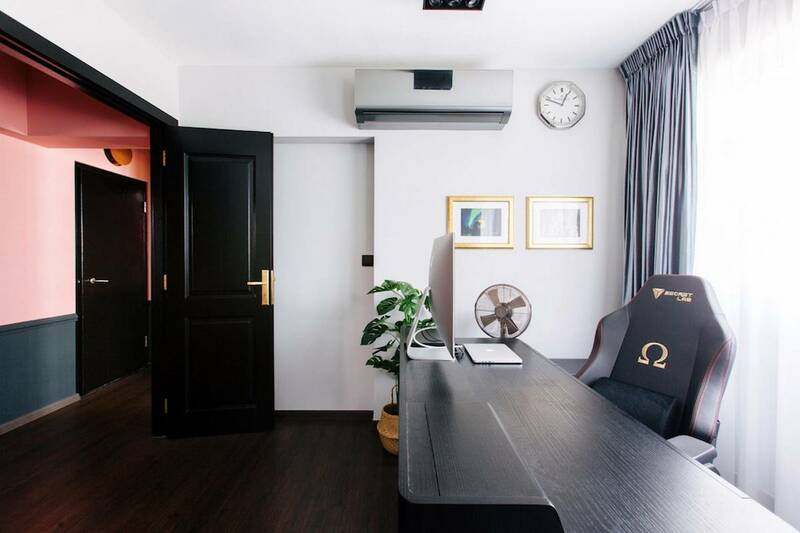 The 1,001sqf home is furnished with mostly Taobao buys, from the brass and copper taps in the kitchen and bathroom to the brass winecart in the foyer. 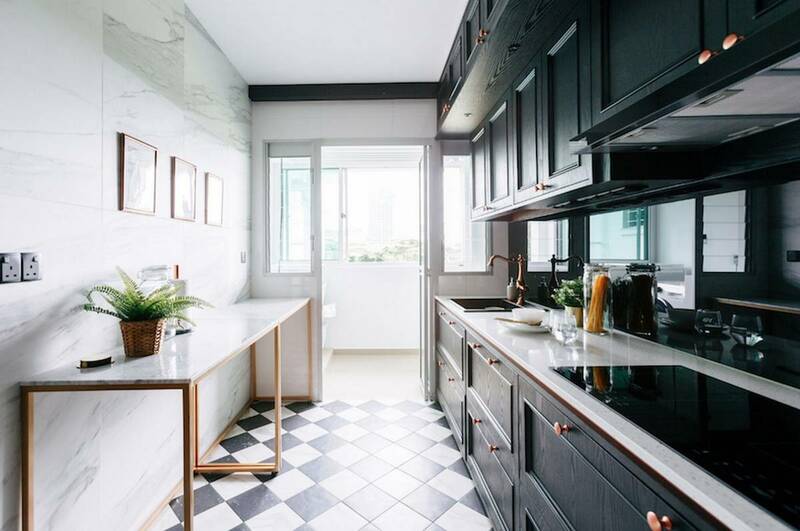 The kitchen features a more understated colour palette, but the marble-look finishes and wainscoted cabinetry help maintain the Victorian-style look. "Go to tile shops -- we went to Hafary and Soon Bee Huat -- to look at the tiles yourself first. This gives you an idea of the prices and designs available so that when you go again with your ID, you will have a more efficient discussion. We went four times in total," shares the couple. 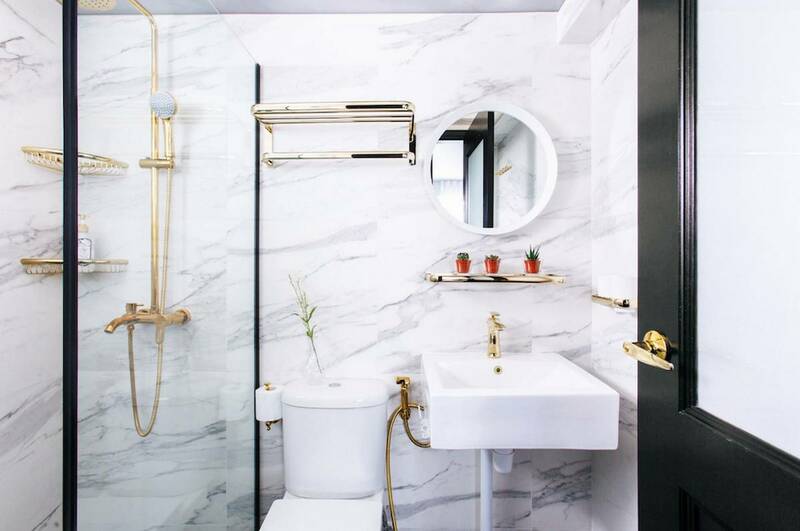 As the living room and kitchen are filled with interesting details, the couple went with a more pared down look for their master bedroom. The Scientist designed double doors to the master bedroom. 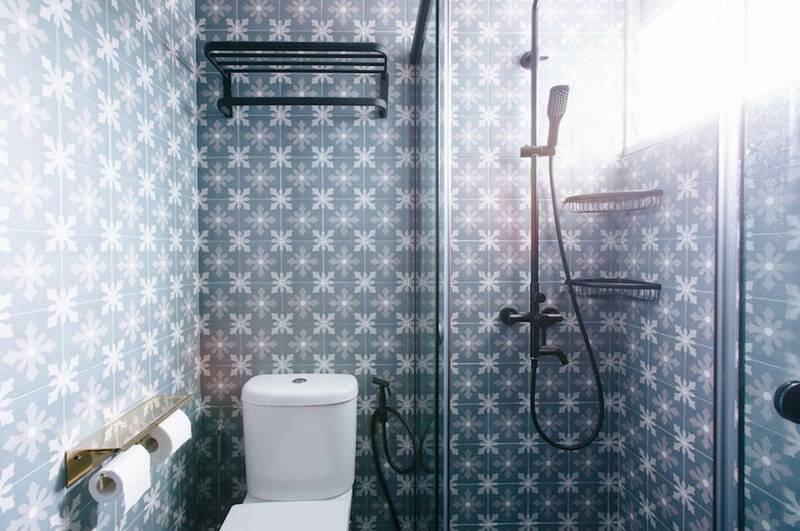 The couple spent a total of $70,000 for this renovation.